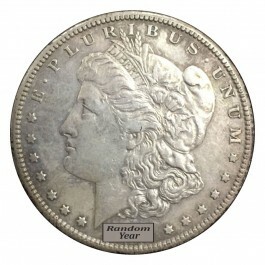 This listing is for ONE Very Fine to Extremely Fine Morgan Silver Dollar from 1878-1904. The coin pictured may not be exact coin received, however it reflects the same product. Please message us with any questions prior to purchase.